BEST EVER Slow Cooker Honey Balsamic Beef (Sandwiches) + Video! 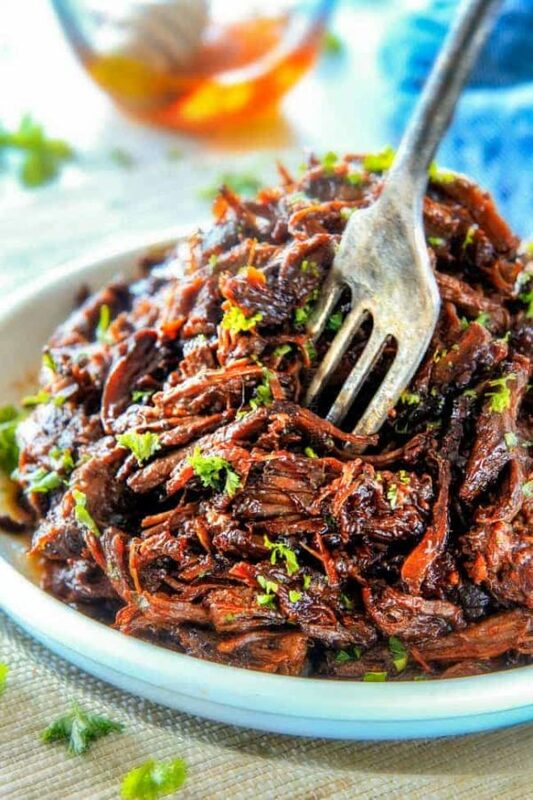 Mildly sweet and tangy, savory Slow Cooker Honey Balsamic Beef is fall apart tender (literally! ), crazy juicy, packed with flavor and smothered in the most delectable honey balsamic sauce you will be licking your plate! This wonderfully easy Slow Cooker Honey Balsamic Beef won’t heat up your house this summer and is great for crowds. It makes an ideal make ahead filling for sandwiches or it’s stand alone delicious with rice and potatoes. Any way you serve it, this Honey Balsamic Beef is destined to become your new go-to beef! 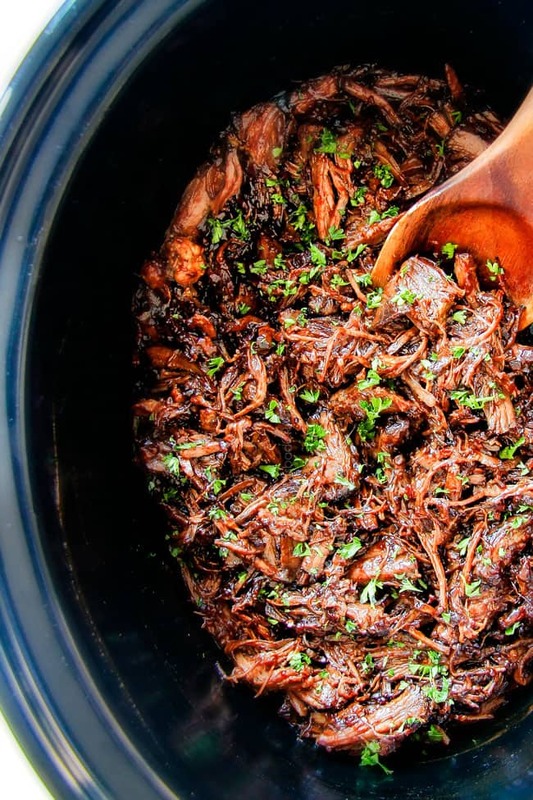 I’ve been sharing a lot of summer grill recipes with you, (See Grill Recipes HERE), which I love, but I have to admit, my first love is and always will by my slow cooker (See Slow Cooker Recipes HERE). 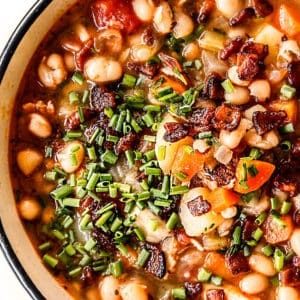 It simply does not get any easier than a slow cooker recipe and slow cooked meals by nature are melt in your mouth tender and infused with flavor by simmering in their aromatic bath all day. 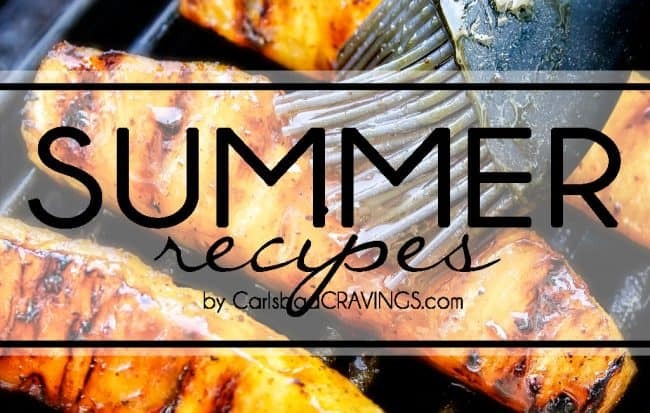 So although its the middle of summer – I view slow cooker recipes just as much a part of summer as grilling recipes because they don’t heat up the entire house and are virtually hands off. And that’s my reasoning for sharing this Slow Cooker Honey Balsamic Beef in the middle of summer. And because I’m kind of obsessed with it. This Slow Cooker Honey Balsamic Beef is one of those meals that calls to you from the fridge even when you aren’t even home. I don’t even know how to describe the flavor other than rich, savory, slightly tangy, slightly sweet and layered with hand picked seasonings for anything but bland beef – but at the same time, not overpowering beef, just plain YUM beef. 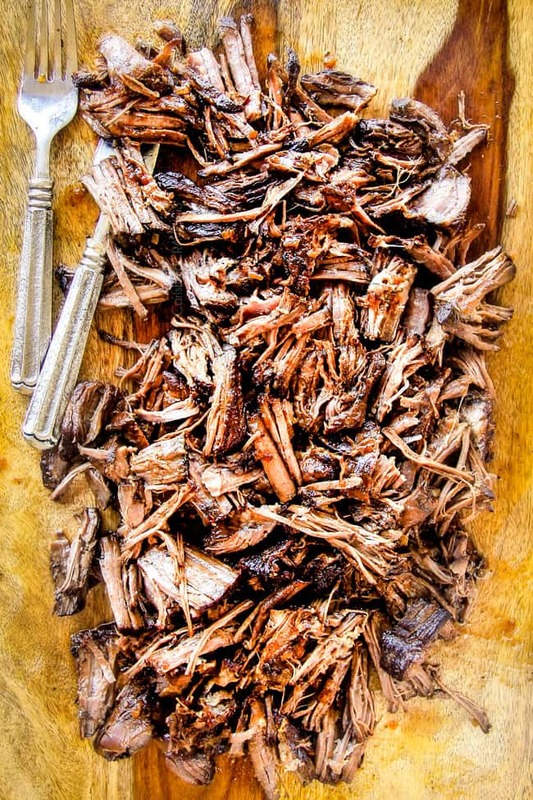 You’ve probably seen a lot of Honey Balsamic Pork Recipes out there, and I’m sure pork would also be delicious in this recipe (just be aware cooking times will vary), but I just love and completely prefer this recipe with a chuck roast because it is SO tender, juicy and moist and the honey balsamic smothering just belongs on beef. With one taste, you’ll know exactly what I mean. 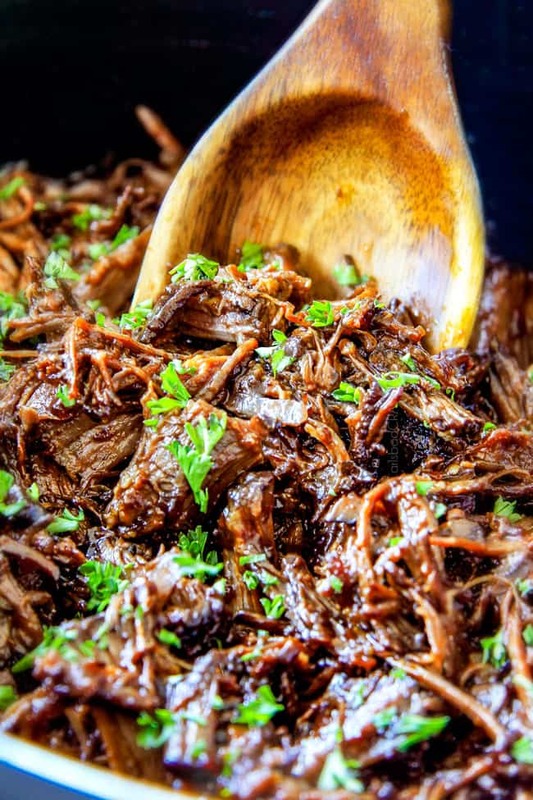 To make this Slow Cooker Honey Balsamic Beef, you first sear your roast then add it to your slow cooker along with all your Honey Balsamic Sauce Ingredients – a simple dump and run of beef broth, balsamic vinegar, soy sauce, ketchup, honey, brown sugar, Dijon and your bevy of seasonings. Cook on LOW for about 7 hours or until your beef is fall apart tender. 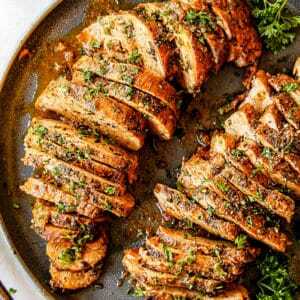 You can never go wrong with making your beef fall apart tender – if it isn’t falling apart when pulled with a fork, you simply need to cook it longer until it does fall apart. Now for what really makes this Slow Cooker Honey Balsamic Beef world more delicious than the rest. We remove our tender roast from the slow cooker before shredding and add all of our remaining Honey Balsamic Beef Sauce ingredients to a large saute pan/skillet with sides and simmer 25-30 minutes until its reduces and thickens, causing the flavors to intensify and sweeten. I promise this one extra step will blow. your. mind. And so will one bite of this Slow Cooker Honey Balsamic Beef. Want to try this Slow Cooker Honey Balsamic Beef? Heat olive oil over medium high heat in a large nonstick skillet. Using two forks or tongs to hold roast, sear on all sides until lightly browned. Add to slow cooker and top with all remaining ingredients. Cook on LOW for 7 hours or until fall apart tender. Remove roast to a cutting board and add all remaining slow cooker liquid to a large saute pan/skillet with sides (NOT a small saucepan). Simmer 25-30 minutes OR until thickened. It will thicken very quickly the last few minutes so watch closely towards the end. Meanwhile, shred roast beef and add back to slow cooker. Stir in desired amount of thickened sauce. Serve as sandwich filling or with rice, potatoes, etc. Your “Pin It” button doesn’t seem to work at all in the emails I receive from you! 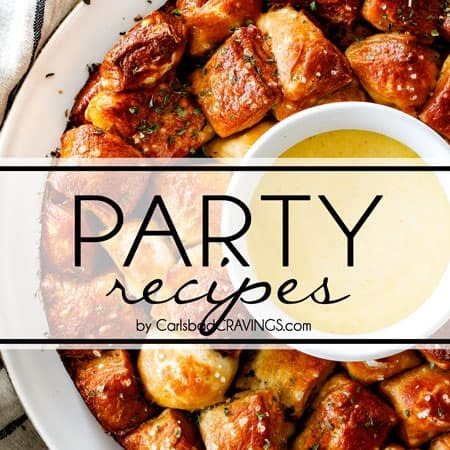 🙁 And the recipes I would like to pin from your emails are difficult and time consuming to find on your pinterest page. Thanks Darlene, I’ll look into that! To pin a recipe, simply click on the recipe title and it will take you to the recipe page and you can pin from there. To find a recipe, just type a key word into the SEARCH toolbar. First of all, my pinning/searching whatnots are working fine for me, Jen, so there doesn’t seem to be some more generalized issue going on. Now as for this recipe, thanks for yet another one to make me salivate, and I’m not even a big beef fan. I bet this would also be a fantastic sauce for chicken too! And I’m picturing either version making for some killer tacos maybe? I wonder what your pineapple salsa would be like with that? Or maybe mango? Ha, see what you’ve started?! This beef looks absolutely incredible! I love that I can make it ahead and use in sandwiches. My Hubby will devour them! Thank you Anna! 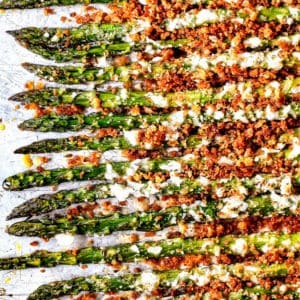 We love love this recipe so hopefully your hubby will too! Hi Jen, I made the Honey Balsamic Beef yesterday and wanted you to know it is Outstanding! Thanks for another great recipe. You know what you are doing, that’s for sure. Such good recipes, I can always count on your site for the special dishes. I hope you are doing okay, I think of you often. Looks pretty like you. I want to try it now. Thank you. You are so welcome hope you can try it soon! I am really excited to try this one. 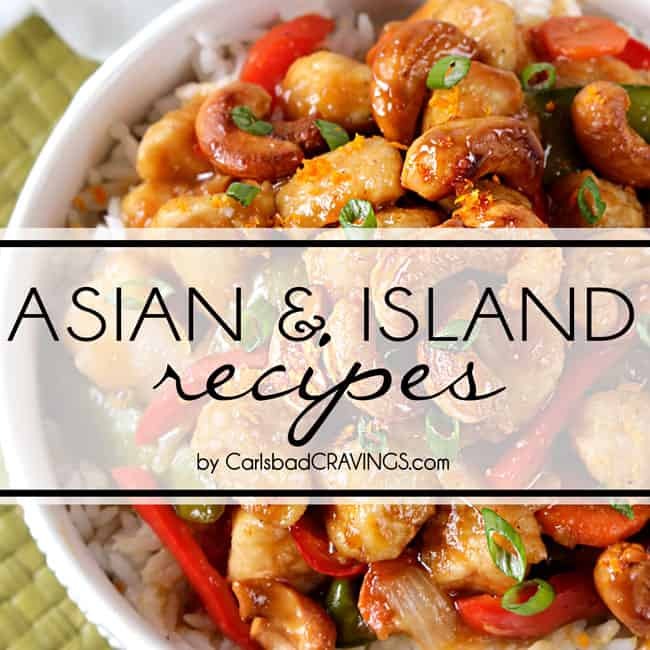 I have made several of your recipes and all are incredibly good. For some reason, my comments never post, so I hope this one make it! Your million $$ mac & cheese casserole is ridiculously good (my youngest son is 14 and he declared it the BEST he’s ever had! – and he eats mac and cheese everywhere we go out to eat) The beef fajita meat is unbelievable. Some of the best meat we’ve ever had. In fact, my family said they just want the meat and not the fajitas. Haha!! So I have to triple the recipe next time. 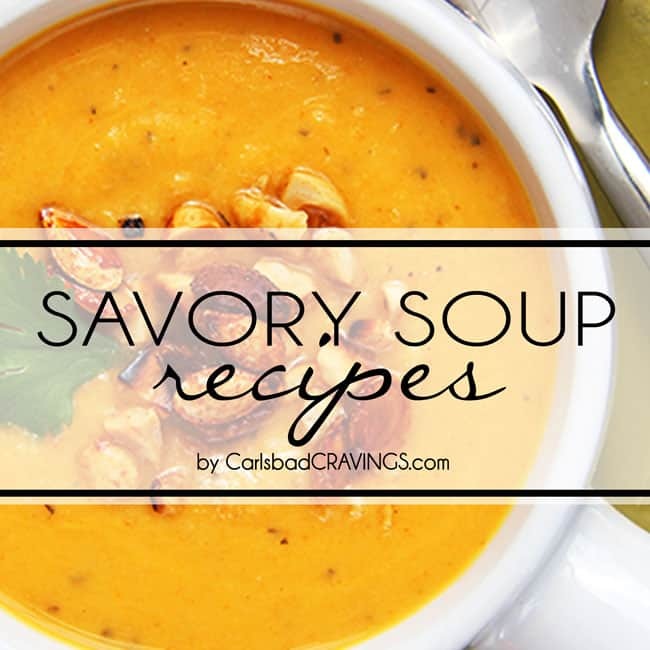 We are getting one of our steers processed right now so I will be making this recipe ASAP. I hope your are feeling good. I think of you often! 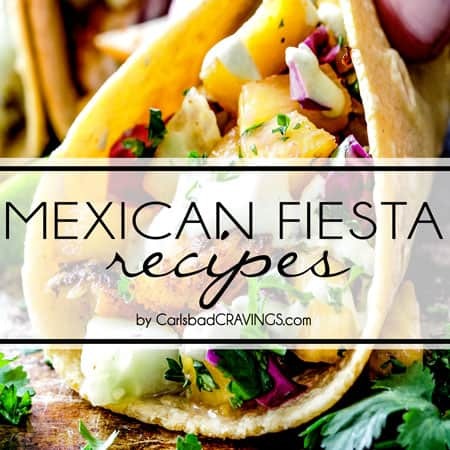 Keep up these amazing recipes! I want to make them all, lol…. 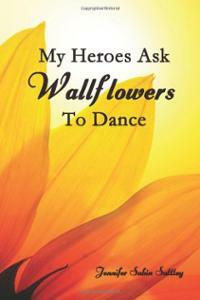 Hi Teija, sorry for the delay as I am way behind after recovering from pnuemonia, but I so appreciate your comment! 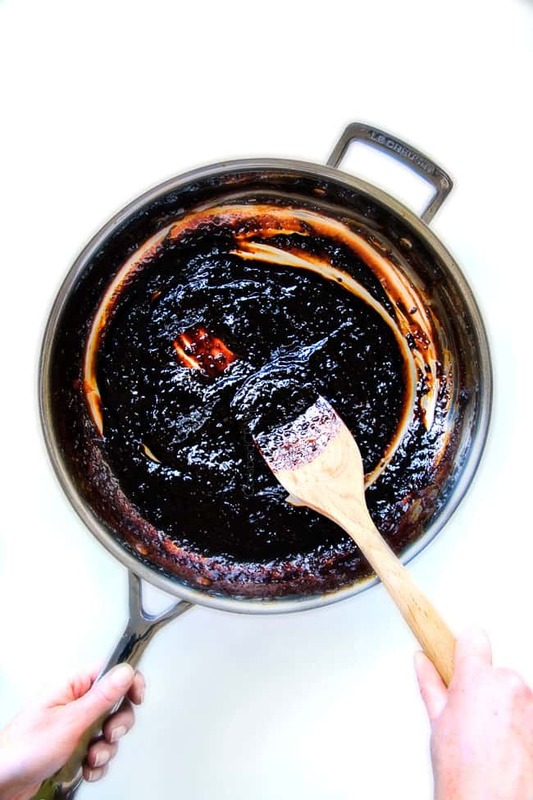 I hope you love this Honey Balsamic just as much as the other recipes 🙂 I am thrilled the Mac and Cheese is your sons favorite and that the fajita meat is so good its getting tripled next time! Thank you so much for making so many of my recipes and for your well wishes! Just letting you know there is a page on Facebook using your photos. Im glad I’ve found this blog though! Thanks so much for letting me know Megan! Wow, this looks so good! Love your recipes, always so full of flavour. Thank you so much Tricia! I hope you can make it soon and love it!! 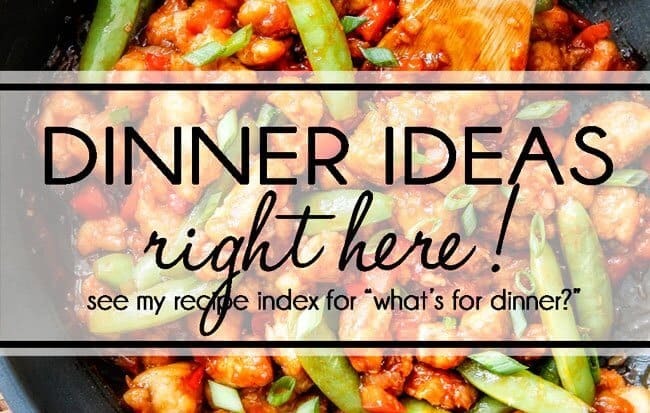 This looks delicious – though I am going to do it in my Instant Pot. Hi! Just a quick question , so after you sear your roast and put it in the crockpot, you add all the other ingredients? Then after you take it out, you transfer all the ingredients and liquid that were in the crockpot leftover to a sauce pan? Exactly. It will be a lot of liquid so use a large pan with sides so it reduces and thickens quicker. Enjoy! You can definitely leave it out :)! I was sent this recipe on FB and made it. WOW! Fantastic doesn’t do it justice. I want to try it with pork next. Would I still use the beef stock if I made it with pork or should I use chicken stock? Thank you William! I’m thrilled you loved it so much. I would definitely still use beef stock. Enjoy! Hi! 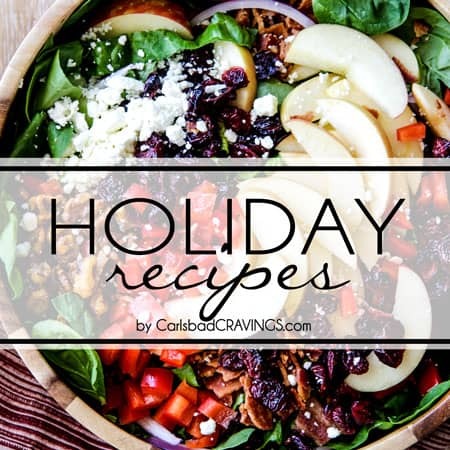 Love your recipies!! Are you able to do this one with a brisket instead of a chuck roast? Hi Tooba! I think this will work great with a brisket – you might need to increase the cooking time 1-2 hours because brisket usually takes longer to tenderize, but I would still check it at 7 hours and just cook longer if needed. Enjoy! Hope your having a great day! Quick question can I cook this on high so it cooks a little faster? Hi Richard, yes you can cook it on high 🙂 enjoy! 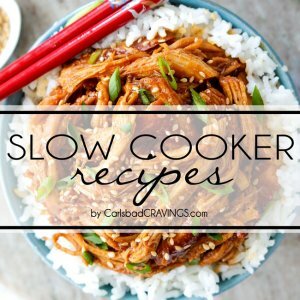 Hi, I want to try making this recipe but I was wondering what size your slow cooker is. I have a 3.5 quart, so I want to make sure I adjust ingredients if I have to. Thanks! Hi Melissa, I have a 6qt. slow cooker. Enjoy! I have this in my slow cooker right now. Hopefully my family will like it as much as the people who commented above. I left our the pepper flakes because I am the only person who enjoys spices foods in my family. I also used some of the broth to deglaze the pan after searing the beef. Didn’t want to love all that extra flavor. Thanks for the recipe! Hi, I was wondering if this could be made in the in the instapot and brown the meat on the sauté option. If so would it be enough the 30 minute time for the beef option? Hi Mirza, Unfortunately I don’t have an instant pot so I can’t help you out – sorry! This sounds great but I don’t know anything about balsamic vinegar. 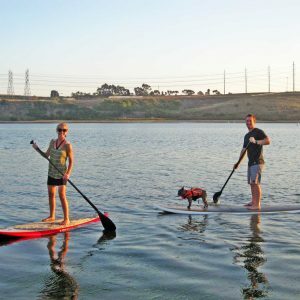 Could you recommend a good brand or two; it would be much appreciated. Hi Janet! There are many kinds of balsamic vinegar that vary widely in price but for quality that’s affordable I like Colavita Balsamic Vinegar of Modena. If your grocery store doesn’t carry it then I recommend googling quality balsamic vinegar. I hope that helps! Thanks much, Jen, it does help. I did try Googling before but I’d rather take an actual recommendation from someone who has great recipes and cooks with it – YOU!! Thanks again. You are so welcome Janet! Enjoy! Hi Jen, I don’t see why not! 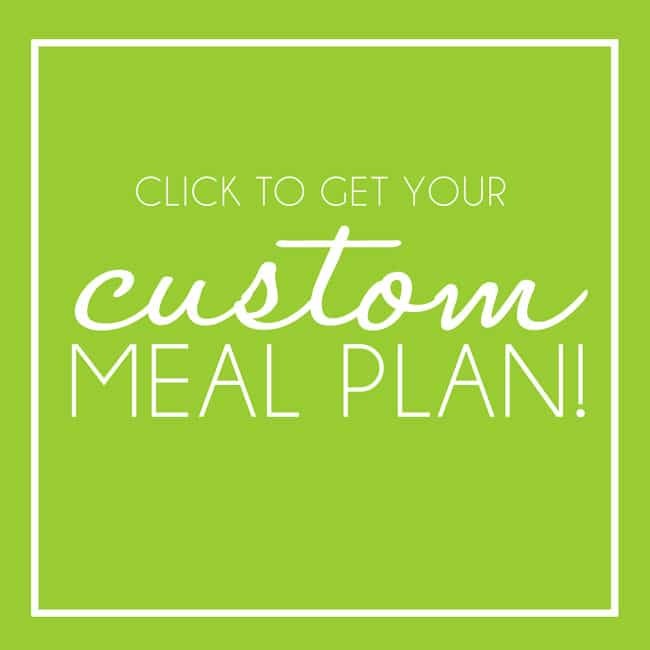 You will just need to adjust cooking time as beef tips will cook more quickly. Hey! 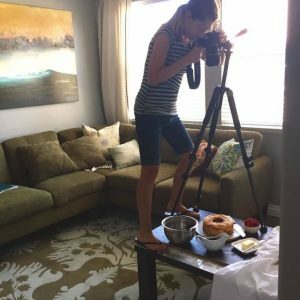 I’m such a fan of your recipes! So I made this dish and I did it in the instant pot. Followed it exactly and cooked for 90mins. Came out good! A big hit! Thanks for making my recipes Omi, I’m so pleased you are enjoying them! 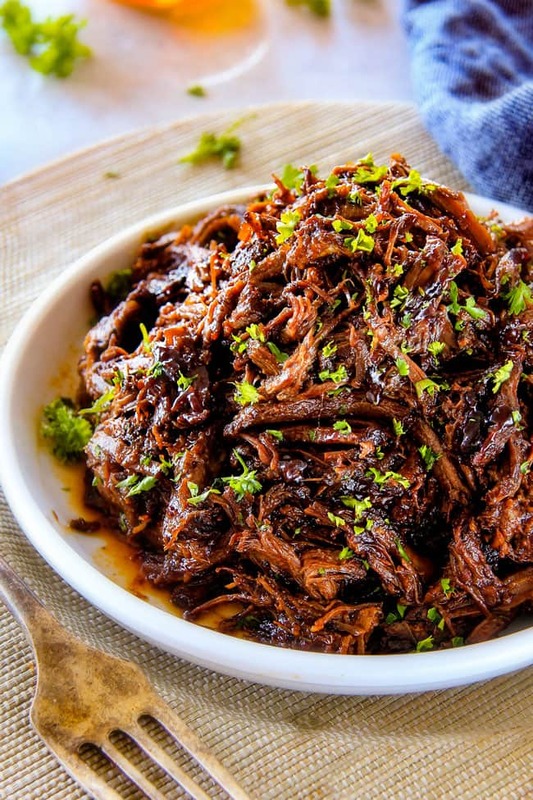 That’s great you were able to make this balsamic beef in your instant pot in just 90 minutes!! !